~ This is where the story of Noah's Ark is. ... when the 1st Reading is Genesis 9, which is just after the flood. 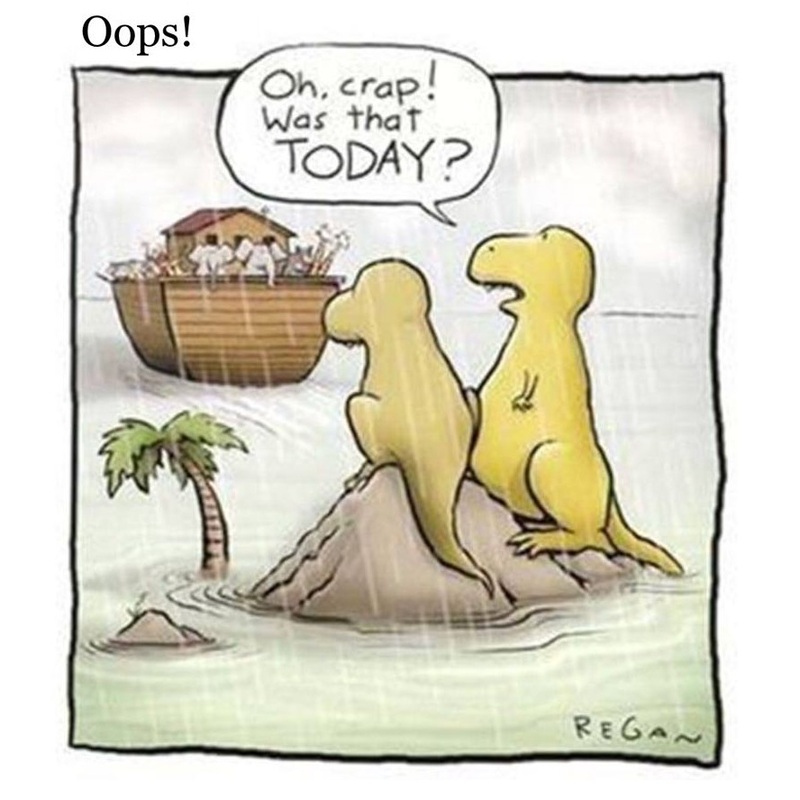 Because before this 1st Reading, the Dinosaurs missed the boat & went extinct! that were with you and came out of the ark. there shall not be another flood to devastate the earth." to destroy all mortal beings." Responsorial PsalmPS 25:4-5, 6-7, 8-9.
that he might lead you to God. he was brought to life in the Spirit. This prefigured baptism, which saves you now. with angels, authorities, and powers subject to him.